Jan & Todd riding camels around the pyramids in Egypt. Temp. 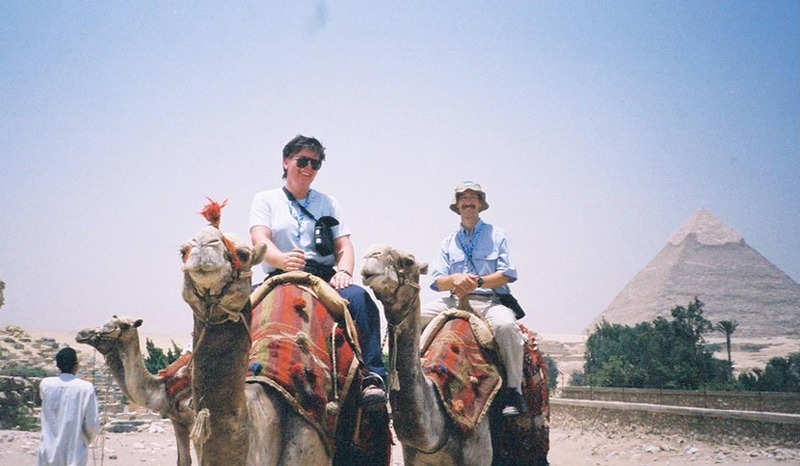 : 120+ degrees F.
Note that Todd's camel has "the hots" for Jan. It kept trying to "kiss" her.